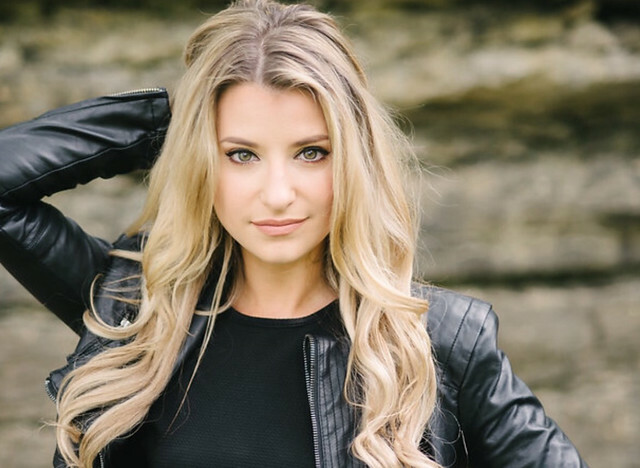 You may remember April from her previous releases such as “While We’re Young” which premiered on CMT.com last year or her #1 most added Radio Disney single “Fireflies.” The WME artist is back with another new music video for her single, “Perfectly Imperfect” which premiered yesterday on Radio Disney. Directed by DS Creatives, the video focuses on April as she has second thoughts while visiting a doctors office which intends to make her “imperfections” go away. The song’s message focuses on self-worth and how everyone is beautiful and “perfectly imperfect” in their own way. April has also sung backup vocals for Enya, collaborated with Nick Jonas, and appeared on “Amateur Night at the Apollo” early in her career. April Kry kwam al eerder voorbij op USCM. Afgelopen zaterdag introduceerde USCM April Kry. Dit Get Ready To Miss Me is een andere track van de in Connecticut geboren zangeres. April Kry is following up the success of her #1 hit Radio Disney debut single, “Fireflies” with a brand new single, “While We’re Young.” Born and raised in Norwalk, CT April Kry was introduced to music at an early age by her father who was a worship leader at her church. Some of her favorite artists growing up were Martina McBride, Aretha Franklin, Celine Dion, Bonnie Raitt, and Linda Ronstadt. She has performed at the Apollo Theater’s Amateur Night, sang backup vocals for Enya, and has also collaborated with Nick Jonas showing her wide range as an artist. Now living in Nashville full time, April Kry is now signed with Metric Records and has recently entered development deal with William Morris Endeavors. Look for her debut full length album this Fall! Singing since the age of 5, April Kry grew up around music. Her father is a worship leader in church, and encouraged her to pick up the guitar at age 13. Drawing inspiration from pop storytellers such as John Mayer and country greats like Martina McBride she decided that her heart belonged in the south. She first came to Nashville at the age of 20, but had already had several accomplishments by then including performing “God Bless America” at a gala event, performing at the Apollo Theater’s Amateur night, and even performing as a background vocalist for Enya. Since coming to Nashville, she has accumulated over 116,000 combined fans on social media, released her first EP Music Speaks, and performed multiple times at CMA Fest. Her latest single, “Fireflies” is currently receiving airplay on SiriusXM The Highway, has over 393,000 streams and counting on Spotify, and has reached #1 on the “What’s Hot on Radio Disney” chart. The new music video has just been released and is sure to be a big hit with viewers. April Kry kwam al eerder voorbij bij de AristoMedia tips. Skye Claire’s love for music started at an early age. Born and raised in NYC, but heavily influenced by her family’s Texas roots, her edgy rock viewpoint on country music started to form when she wrote her first song at only twelve years old. She cut her teeth fronting rock bands and playing songwriter nights in her native New York, playing her first full band gig at NYC’s famous Bitter End at just sixteen. Once she graduated from the prestigious Wesleyan University, Skye’s passion for music took a front seat when she threw her guitar in her Jeep and headed for Nashville. Since making the move 4 years ago, Skye’s unique blend of swampy southern rock and bluesy pop have found a permanent home. She wrote every song on her first Nashville release, “For Better or For Worse”, and gained her first cut as a songwriter on Texas artist, John Slaughter, with “Kiss Like Whiskey”. With a new solo project in the works, and her single “Pawn Shop,” hitting the airwaves Fall 2016; she is poised and ready to rock out on stages across the country.